BEST DEAL – 4 CEUs FREE! Do you need to fulfill your NCCAOM Ethics Category Requirement? For a great price, you will be able to do just that, and will also get to review your knowledge patient ethics, professional ethics, professional boundaries, and public ethics in the health care world. Do you see a lot of patients in your practice seeking treatment for insomnia? 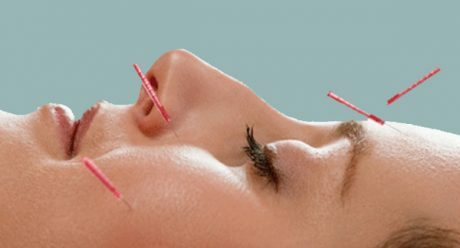 For a great price, this course will discuss a variety of research studies done on acupuncture for insomnia, review acupuncture points for treatment, provide a comprehensive over view of the CAUSES of insomnia, and additional tips and techniques will be explained on getting a restful sleep. Education will be provided on the different prescription medications for insomnia and their potential side effects. Some questions we will answer in this course: Are herbs combined with acupuncture more effective in treating insomnia than just herbs alone? Does aromatherapy with use of essential oils work to promote restful sleep? Can beta-blockers cause insomnia? These questions and more will be answered in “A Basic Acupuncture Guide to Insomnia”! Would you like to learn more about the anatomy and physiology of the body as it relates to sciatic pain? For a great price, expand your knowledge on the anatomy of the spinal vertebrae, spinal nerves, and learn about the many other anatomical components that make up the back. This course will also go over various conditions that may cause a patient to feel sciatic pain. 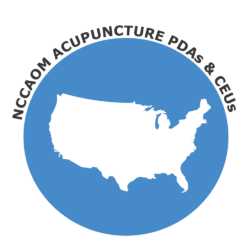 A vital course for any acupuncturist providing treatments for pain management. Are you interested in anatomy and physiology of the brain and how this ties into depression? Well, we have an excellent course for you. For a great price, this course will discuss brain regions, neurotransmitters, hormone imbalances, and exciting research about depression and how it occurs in the brain. By taking this course, you will grow your knowledge on depression, and have this new found knowledge to help educate your patients and fellow colleagues about this condition. This course is a must for any acupuncture practitioner eager to learn and understand the specific effects depression has on the brain. ** CPR Not Included and is a Stand Alone Requirement.